Amid escalating terrorism, leaders of Samaria, Binyamin, and Bet El call on public to join Thursday evening protest in Jerusalem. The leaders of Binyamin, Bet El, and Samaria are calling on the public to attend a protest to be held Thursday evening opposite Prime Minister Netanyahu's residence in Jerusalem. The rally is being held amid an upsurge in terrorism, as two IDF soldiers were killed on Thursday in a shooting attack at Givat Assaf. Rally organizers call on the government to build more homes in the area and to fight terror more aggressively. "This murderous terrorism is raising its head and we will not sit idly by," said Binyamin Regional Council Chairman Yisrael Gantz. "I demand that the prime minister deal with terror as terror needs to be dealt with." 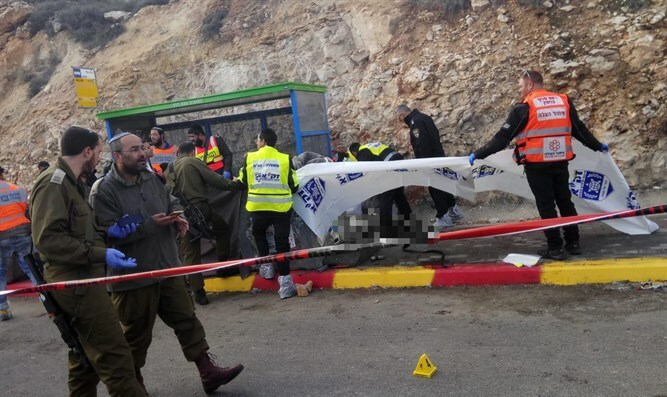 With both Thursday's attack in Givat Assaf and Sunday's shooting in Ofrah, Gantz said that "the first step must be a complete and immediate ban on the Arab population from continuing to travel on Route 60", a central road bisecting Judea and Samaria. "At the same time, I demand that the Prime Minister apply Israeli sovereignty over Binyamin, Judea, and Samaria," added Gantz. "The residents of Binyamin will not be ducks in the firing range of Arab terrorism." Samaria Regional Council head Yossi Dagan said that the purpose of the rally is to show Netanyahu and the government that "we are done being quiet. We are done burying. There is a total abandonment". "The days of Oslo will not be repeated," added Bet El head Shai Alon. "We are calling on the public to come to Jerusalem for a rally at 7 pm and show that Jewish blood is not cheap."